each hand-numbered, hand-signed eye heart hand rug is made to last. It takes time for the GoodWeave®-cerified artisans to transform the High Peak Estate wool into an eye heart hand rug, and for origin traceability testing by Oritain® to ensure the purity of the wool in our rugs. Your hand-numbered, hand-signed eye heart hand rug will arrive at your door in June. Offered in taupe (seen here) or grey (below), our luxurious and graphic ‘leaf’ rug will make a statement in any room of your home. Its eye-catching and kinetic composition adds focus and rhythm to your space. Made of 100% Guilds of High Peak Estate New Zealand wool. The premium quality and weight of this wool minimizes curling and shedding. Durable, tufted loop construction in specially gabbed-dyed neutral range (taupe or grey) and pure, no-dye natural tones. 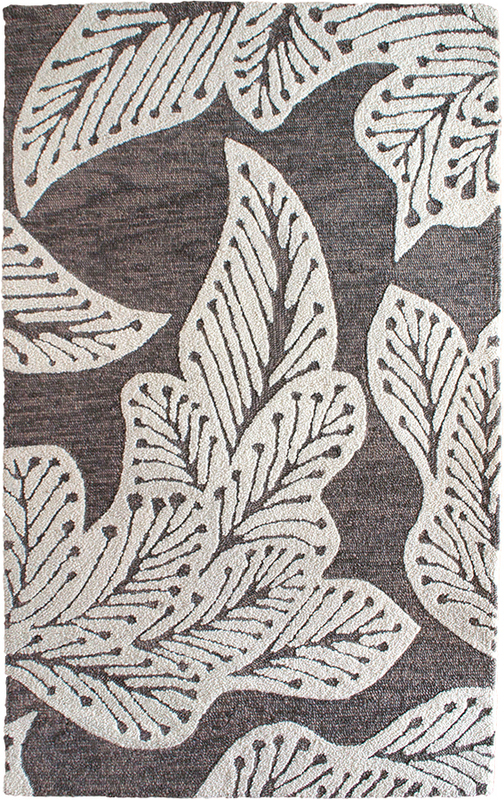 Soft, subtle dimension in the leaf motif is perfect for a master bedroom, guest bedroom, living room or other barefoot-friendly areas. All of our rugs are GoodWeave®-certified and responsibly made. Look carefully and you’ll see this is not your average geometric. Our ‘atrium’ rug links squares and octagons that combine to create tiled, flowers with a luxe global vibe. Create structure in your interior spaces with this beautifully rendered, energetic composition. Made of 100% Guilds of High Peak Estate New Zealand wool. The premium quality and weight of this wool minimizes curling and shedding. Durable, tufted loop construction in soft grey-blue and pure, no-dye natural tones. Loops are made in contrasting widths to create a luxurious texture variation perfect for a master bedroom, guest bedroom, living room or other barefoot, low-traffic areas. 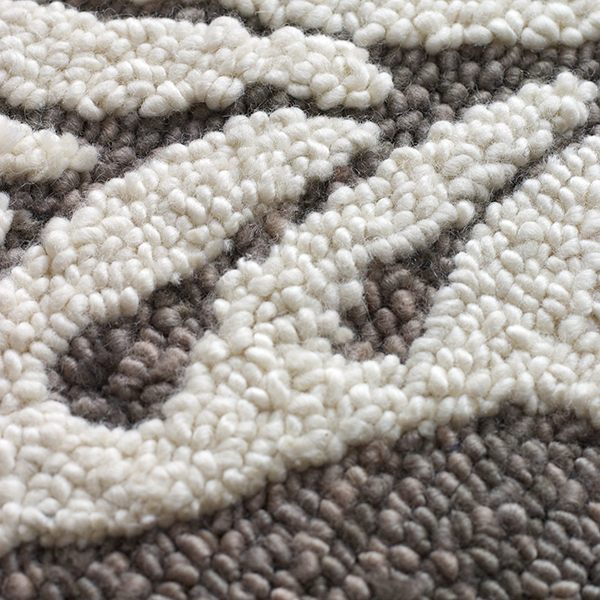 All of our rugs are GoodWeave®-certified and responsibly made. When your rug arrives, you will see, feel, and touch the difference in your field-to-fiber-to-floor rug, in its superb design, softness, durability, and workmanship. Each eye heart hand rug of an original design comes hand signed by the designer, the shepherd, and the rugmaker. Ground shipping within the US is included, free, with your order. Overseas clients, please inquire for shipping options. Additional shipping costs to clients outside the U.S. may apply. If you’re seeking delivery outside the U.S., you’ll be responsible for any additional shipping costs and for any importing costs applied by your home country, including, value added tax, tariffs and/or duties or added fees on wool rugs. If you’re not thrilled with your eye heart hand rug, we’ll facilitate a no-hassle return at no cost to you. Additionally, we offer a full one-year warranty from the day the rug arrives at your door.